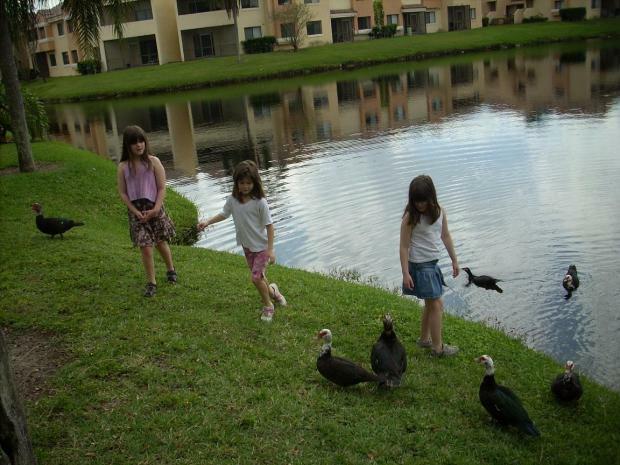 The girls at our current place in Planatation Florida. Those are Mud Hens, yes they really are that ugly. Kind of a cross between a duck and a vulture! March 2008.